Ben Fish asks if the veteran age category should start at 35 or 40 years old? This is a topic that I’ve wondered about for a number of years and as an ‘apparent’ veteran at 36 years old, I’m even more convinced that the categorisation shouldn’t begin until one reaches 40. Traditionally, it used to be 40 and only in recent years, perhaps for gender equality, the men’s veteran category in many cases falls in line with the women’s at 35. It’s certainly a bit of a grey area (in more ways than one for most of us!). Now, I certainly agree that both genders should have equal age categories in rankings and races, as with prizes in races. But wouldn’t it have been more obvious to bring the women’s category up to 40 years old? If anything, there are more women competing at the top level over 35 than men, which certainly makes a mockery out of those races that recognise women as veterans at 35 and men at 40, not to mention the inequality of that situation. On thinking about this, and just to make sure I was not talking complete nonsense, I decided to look at the top 20 UK rankings at 10k, half marathon and marathon to see how men and women compared. There’s a slight exception with the marathon so far this year, but clearly, the top 20 is well represented with over 35’s, especially among women. That’s why I believe the men’s category should have remained at 40 and the women’s age category brought in line with that, also at 40. One final discussion on this topic, which refers to races and that’s the awarding of prizes. I don’t understand the structure some races use, for example, if someone wins third in the V40 category, but was beaten by a V45, then surely that should go to the V45 runner, as they were the third fastest over 40, unless somehow, being over 45 is younger than 40! 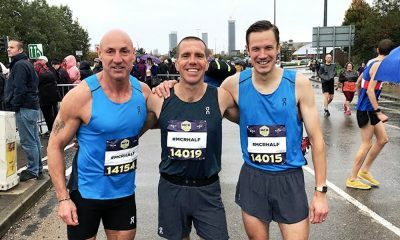 The point of veteran running is about being competitive in older age, so if you lose to someone older than you, then surely you can have no complaints. This month has proven to be much less productive than I had hoped. I made good progress through July, but then hit a dead end due to illness for a week at the beginning of the month. This put pay to any plans of running in the English 10,000m championships and effectively brought my timid track season to a premature end. 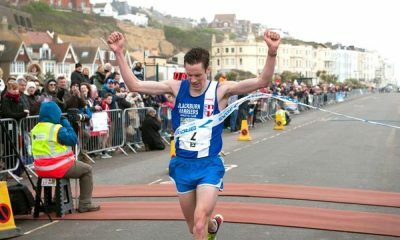 I recovered in time to compete at the Northern League promotion match in Doncaster on the 18th August and I ran a reasonable 15:08 to finish second to Ollie Lockley, who stormed away in the last lap or so to win in 14:55. Still, it wasn’t a pleasing run on my part and not breaking 15 minutes this year simply isn’t good enough. 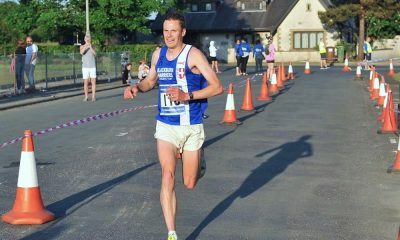 More satisfying was Blackburn Harriers finishing second, which has secured promotion to Northern League 1. Since then, training has gone well with I have hit weekly mileage of 100, then 89 this past couple of weeks, with good quality speed sessions and hard runs. 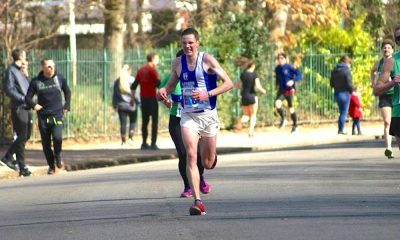 My focus will be to hit more miles and increase my volume of the sessions throughout September and I want to be hitting my best form for the road relays and also the Manchester Half Marathon, which is my main target in October. It’s been a frustrating year with the half marathon, missing cancelled and postponed races and getting ill at the wrong time. I’m hoping these next few months will be more fruitful.